Are you really conscious about taking low-calorie foods? 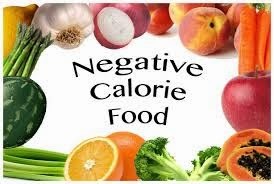 Well, then you must know about the zero-calorie foods for better performance in losing your weight. What are zero-calorie foods? Cucumbers: Cucumbers achieve the top spot in the list of zero calorie foods. Whenever you are tired of drinking water during the hot days, you can try snacking on cucumber slices. This is because the cucumber has high water content and consuming the foods that are high in water content will help you to have a feeling of satiety for longer time by taking most of the space in your stomach. In addition, cucumbers are rich in other nutrients like vitamins, potassium and silica. Citrus Fruits: Why you are waiting for cold season to fill you up with oranges? The citrus fruits like oranges, tangerines and grapes will help you to whittle your middle. It is proven that the people with higher levels of vitamin C are having lower waist to hip ratio than the people who contain lesser amount of them. A study has also shown that higher amounts of vitamin C will be able to oxidize 25% more fat during your treadmill sessions. Water: Water is an excellent source of zero-calorie diet. Most of the dieticians across the globe recommend drinking at least eight servings of 12-ounces of water daily as the healthy part of your diet. Water has an added benefit when you are trying to diet for losing your weight – water helps you in filling your stomach. In order to add a different texture for your zero calorie food, you can freeze your water and use it. Apples: Yes, apples will keep your weight at bay. Just try to take an apple every day. Make sure that you eat the apples along with the peels as they are the source of metabolism-boosting fibers and ursolic acid. These would prevent your pounds from piling on. They will keep you slim. Asparagus: You will be surprised to know this. A ½ cup of cooked asparagus will give only 20 calories. In addition, you will get the rich of nutrients like vitamin A, B and K. Moreover, vitamin B in asparagus will help you in breaking down sugars and starches. Hence, consuming asparagus will help you in regulating blood sugar levels. Watermelons: This fruit, which is the favorite summer season fruit, has been loaded with arginine. This is the amino acid that will help in losing weight. There are studies which have found that obese mice which have been fed with arginine supplements burnt more fat than those that did not take them. Broccoli: This may not be a favorite food source for many people. But, you must remember before keeping it apart from your diets that one cup of raw broccoli would contain as much as fiber and vitamin that are present in oranges. Due to this reason, you must include broccoli in your daily diets as an effective source for losing your weight. Cauliflowers: You can try substituting your potatoes with cauliflowers by boiling, mashing and seasoning. This is because, a ½ cup of boiled cauliflower would contain as low as 14 calories in addition to half of your daily recommended vitamin C intake. Hence, replacing potatoes with cauliflower will help you in losing weight when at the same time the taste is not compromised.